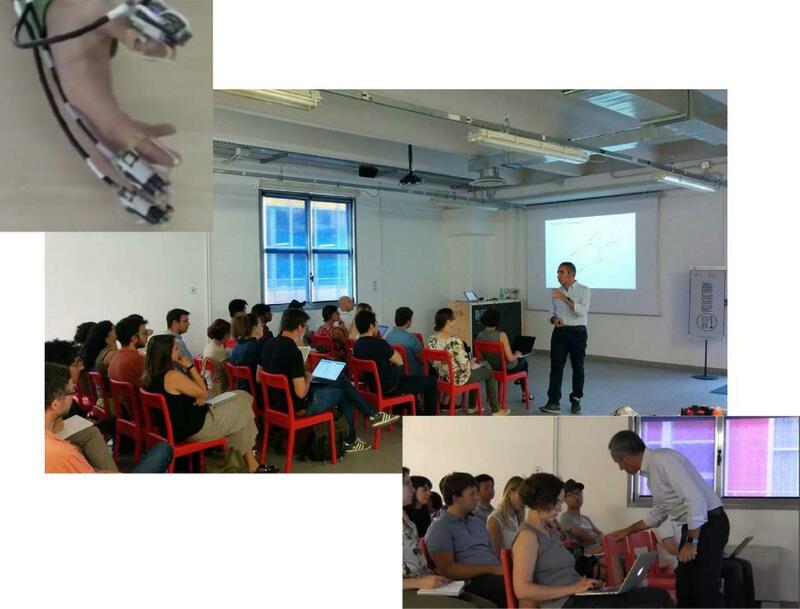 Domenico Prattichizzo and Vincent Hayward hold lessons on the WEARHAP haptic track concept during the 2015 Virtual prototyping summer school. The PhD school, organised by Monica Bordegoni and Francesco Ferrise, was hosted by the Polifactory Lab of Politecnico di Milano. The two experts from the WEARHAP Consortium talked about the wearable tactile technologies and their main applications in the design of objects, assistance for visually impaired, rehabilitation, medical, emotional fields. Thanks to the WEARHAP project, tactile sensations can now be encoded, recorded and reproduced in space and time!